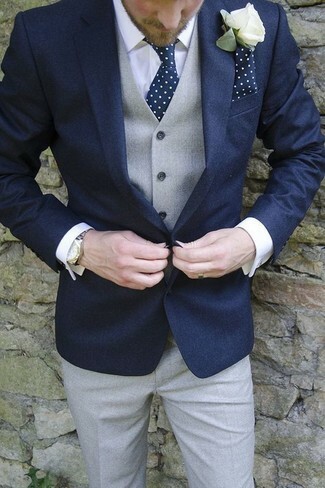 Pair a grey waistcoat with black jeans for a sharp, fashionable look. This combo of a Dell'oglio double breasted waistcoat from farfetch.com and blue ripped jeans is very easy to pull together in no time, helping you look dapper and ready for anything without spending a ton of time rummaging through your arsenal. Show your sartorial prowess with a pair of black leather brogue boots. 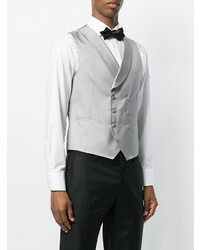 Rock a grey waistcoat with black dress pants for incredibly stylish attire. 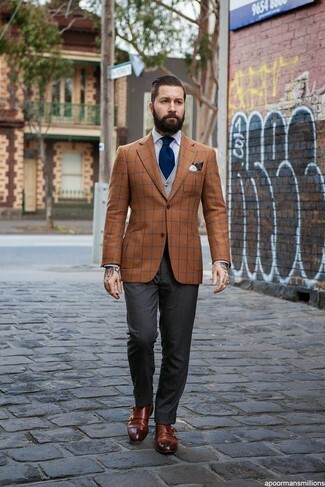 When it comes to footwear, this outfit pairs wonderfully with brown leather oxford shoes. 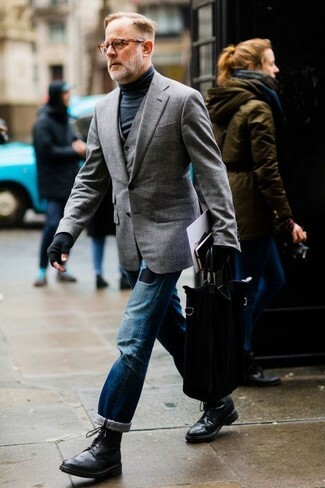 Consider teaming a Dell'oglio double breasted waistcoat with charcoal dress pants like a true gent. Choose a pair of dark brown leather double monks for a more relaxed feel. For a nothing less than incredibly stylish getup, consider pairing a Dell'oglio double breasted waistcoat with charcoal vertical striped dress pants. 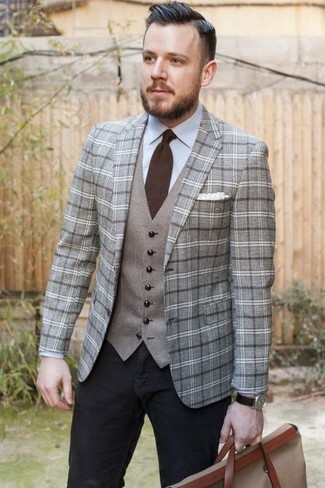 Try teaming a Dell'oglio double breasted waistcoat with grey plaid wool dress pants for a sharp, fashionable look. Opt for a pair of black leather chelsea boots to loosen things up. 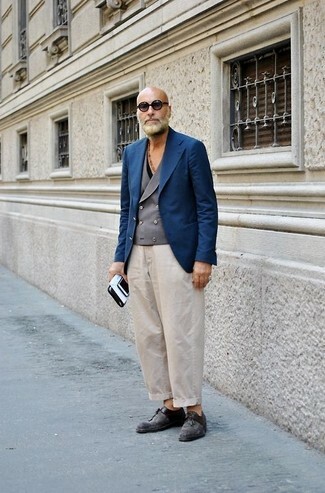 For a nothing less than incredibly stylish getup, pair a Dell'oglio double breasted waistcoat with navy chinos. 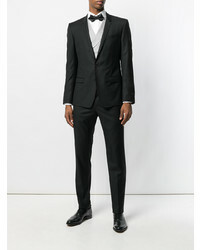 When it comes to shoes, this outfit pairs nicely with dark brown leather tassel loafers. 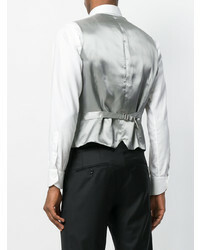 For a nothing less than incredibly stylish ensemble, pair a grey waistcoat with grey dress pants. 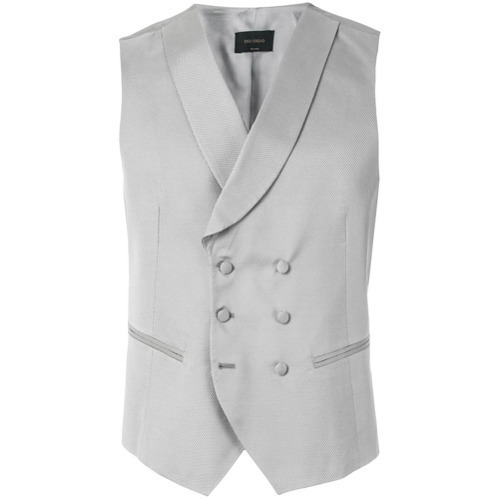 For a nothing less than incredibly stylish getup, consider teaming a Dell'oglio double breasted waistcoat from farfetch.com with beige dress pants. 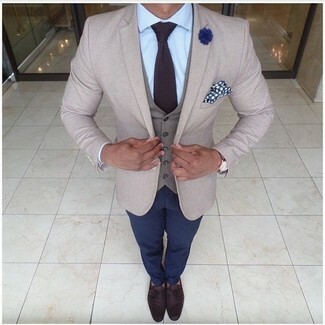 For something more on the daring side to complement this getup, grab a pair of dark brown leather tassel loafers.